How to Communicate Your Brand on Social Media — Cassie Clark. The importance of an online presence is critical. If you are a designer- being online and communicating your brand on social media is so vital today. There are a few rules of thumb regarding a designer’s online presence. Some believe it is a waste of time or too egotistical. I disagree I believe everything you do is a representation of your brand and so why wouldn’t you display who you are as a brand and highlight or provide insight into your inspiration and how you think, and what you are responding to. I like to think of my Instagram page as visual communication to what I am responding to in my life. As you can see I am obsessed with my daughter- but I also like to play with bold colors and stark whites. But the images that I select to share tell a story of my day- or relate back to my blog. I always think in terms of composition and coloration and how all of the images relate to one another. The purpose of my Instagram is also to help inspire other people. So I normally try to think of images that might be visually interesting or edited in a unique way. Everything that I post relates back to my brand as a designer. Many people forget that everything you do on social media speaks to your brand. I often refer back to my brand guidelines if I am unsure if I should share something or not. Online not only allows for not only the growth of a potential brand but also allows for a designer to experiment with story telling in a more interactive way. You can share in real time what is inspiring you, and Work in Progress of your work. It creates brand awareness and allows you to tell a very compelling story about who you are and how you think to potential employers and clients through visuals. By having an online presence it makes you part of the designer playground. You never know who might be looking who they are showing with and what opportunities that may lead to. 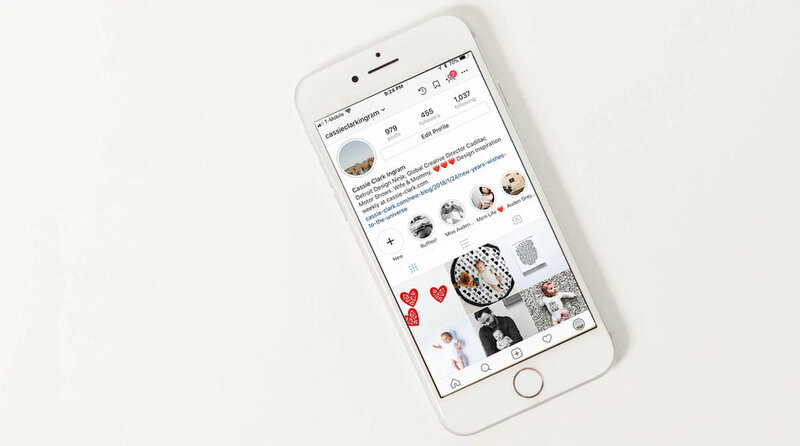 A growing trend is for employers to check your Pinterest, Blogs, Instagram, and Tumblr sites there are huge insights into your design aesthetic and how your process visuals. These types of accounts when used properly can be used for establishing a brand and building the story of you.